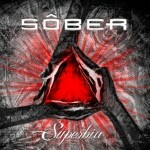 Sôber is an alternative rock band from Madrid, Spain, formed in 1994. Founded when Carlos Escobedo posted an advertisement in a local guitar store and was then contacted by Antonio Bernardini to start Sober Stoned. The band's line-up has primarily consisted of vocalist/bassist Carlos Escobedo, guitarrists Jorge Escobedo and Antonio Bernardini, while going through a number of drummers. In 2002, with Alberto Madrid as drummer, the band released Paradÿsso. The album sold more than 100,000 copies. In 2004 they released Reddo, which sold more than 50,000 copies. On 1 January 2010, the band announced their reunion with Manu Reyes as drummer.